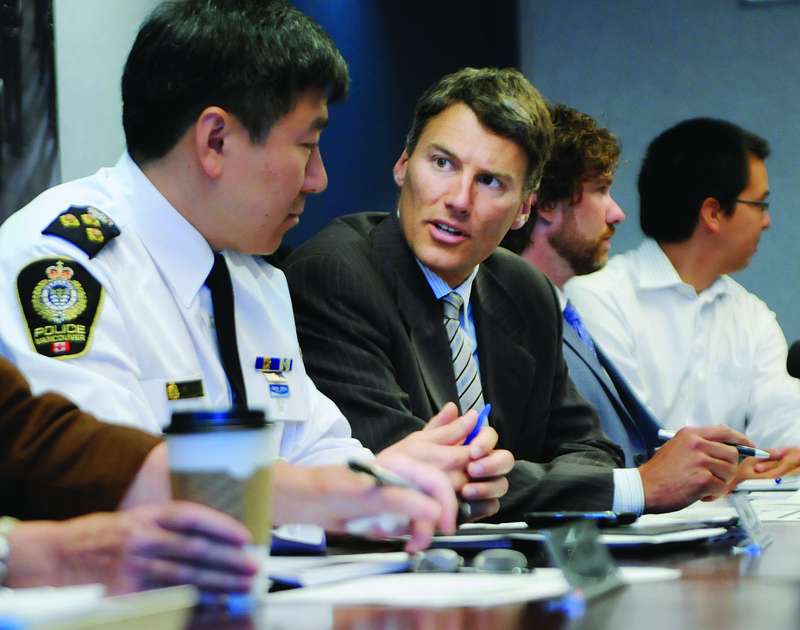 Last week the Vancouver Police Board voted to dismiss a joint complaint filed in March 2013 by VANDU (Vancouver Area Network of Drug Users) and Pivot Legal Society. 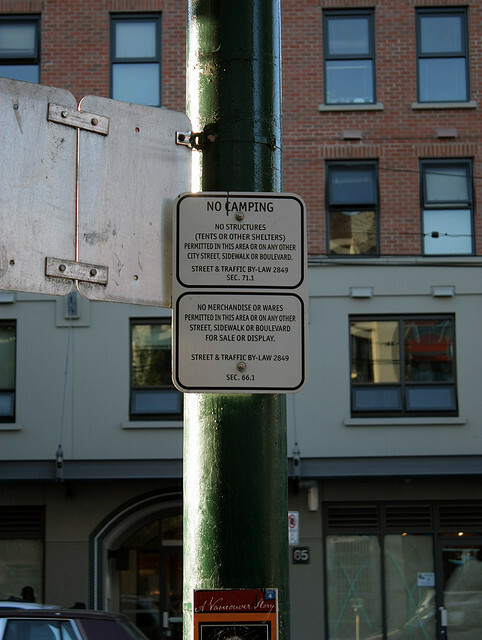 The complaint was based on a freedom of information request revealing that up to 95% of Vancouver’s vending by-law tickets are given out in the Downtown Eastside (DTES). 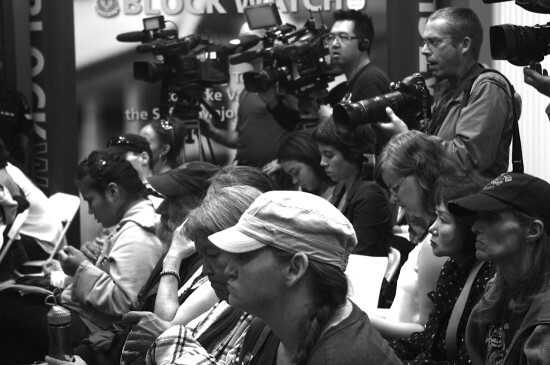 Pivot and VANDU called on the police to implement the recommendations of the Murdered and Missing Women’s Inquiry, which called on the VPD stop the disproportionate ticketing of poor, homeless, and under-housed residents in the DTES. Immediately after the Mayor’s decision, PIVOT announced that it will be filing an appeal with Office of Police Complaints Commission. PIVOT and VANDU will also continue with their constitutional challenge against the City’s vending by-law. According to Pivot lawyer Doug King, the challenge will be heard in the courts next Spring, 2014. 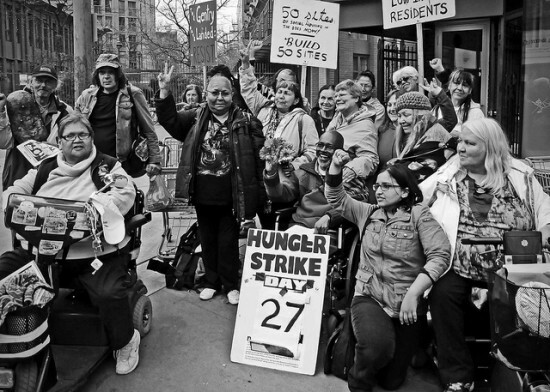 On Saturday, September 2 2012, the Vancouver Police Department once again demolished the cart of a homeless DTES resident. The cart contained personal belongings and all the necessities for surviving on the streets: clothes, bedding, tools and other essential objects. The VPD prohibits the demolition of a homeless persons’ property under the Abandoned Property Policy, but officers have repeatedly violated the policy. Last summer the Mainlander published an article on VPD shopping cart demolitions. 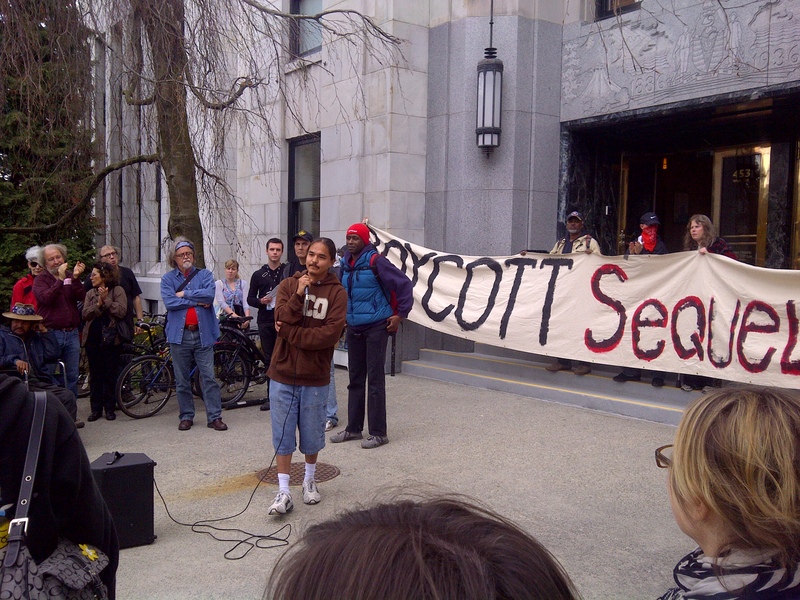 In response to a documented VPD removal of a shopping cart in the DTES on June 25th 2011, the Mainlander criticized the VPD’s continued contravention of their own operating guidelines. The article noted that by the summer of 2011, nothing had changed since lawyer David Eby documented the removal of a shopping cart in February 2009. This Saturday’s demolition took place at 8pm near Insite on East Hastings. Against a crowd of protesting DTES residents and neighbors, the officer responsible stated that the removal was justified by the fact that the owner of the cart had been absent for several days. But according to staff at Insite, the cart had been there for less than 12 hours. The cart contained bedding and tools neatly tucked away into separate containers under a meticulous rain-proof cover. The owner of the cart had been in Surrey for the day and for obvious reasons was unable to bring the cart with him. Across the street from the cart incident lies an abandoned site owned by private real-estate developer Marc Williams. The site contains garbage and rubble, all of which were allowed to ferment for more than a year despite numerous formal complaints against the smell and presence of rats from DTES residents and tenants of neighboring hotels. The city’s message is that a rich person’s garbage is outside the law, while a poor person’s livelihood is garbage. From their current actions, it is clear there has been no change in VPD’s practice of handling abandoned property in contravention of official policy. This violation of basic rights should come as no surprise. The city’s aggressive revitalization plan for the DTES is being pushed ahead by city hall, despite overwhelming opposition and protest by residents. 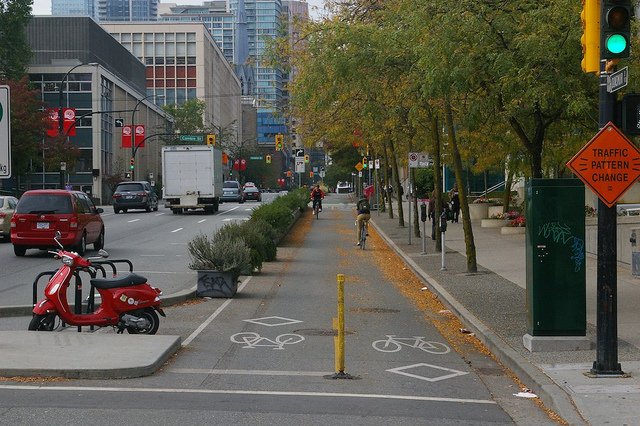 Vision Vancouver’s Revitalization Strategy for the DTES is part and parcel of the criminalization of poverty and neither can be considered in isolation. As such the demolition of poor peoples’ homes and property is not only a failure on behalf of the VPD but a systematic failure of the city. This past Monday, April 23rd, all three voting members of the Vancouver Development Permit Board (DPB) voted in favor of the ‘Sequel 138’ condo project on Hastings, next to the Carnegie Centre and across from Insite. The decision to push through the gentrification project was made beforehand by senior city staff at the direction of the Mayor’s Office. Nevertheless, the city went through the motions of holding a DPB meeting to listen to community concerns. The meeting lasted 7 hours, from 3pm to 10pm, with about 50 community members giving speeches. Almost all delegations passionately opposed the project. After seven hours of delegations, not one member of the DP Board or its Advisory Panel engaged in discussion or posed any further questions of staff for clarification. The Board moved immediately into a vote. First, the nine members of the Advisory Panel gave their advice. The only member of the nine-member Advisory Panel not personally associated with the development industry, Duncan Wlodarczak of SFU’s Sustainability Centre, spoke for deferring the decision until “rate of change” mechanisms are in place to address the balance between market and non-market development in the DTES, as outlined in the DTES Housing Plan. One other member Advisory Panel member, Jasminka Miletic-Prelovac, spoke in favor of deferral until the Downtown Eastside Local Area Plan (LAP) is in place next year.